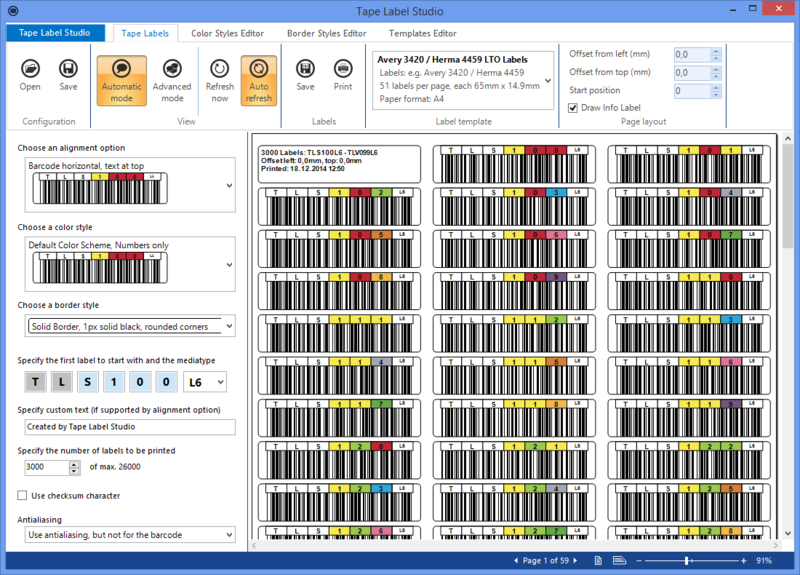 Need to print some labels? 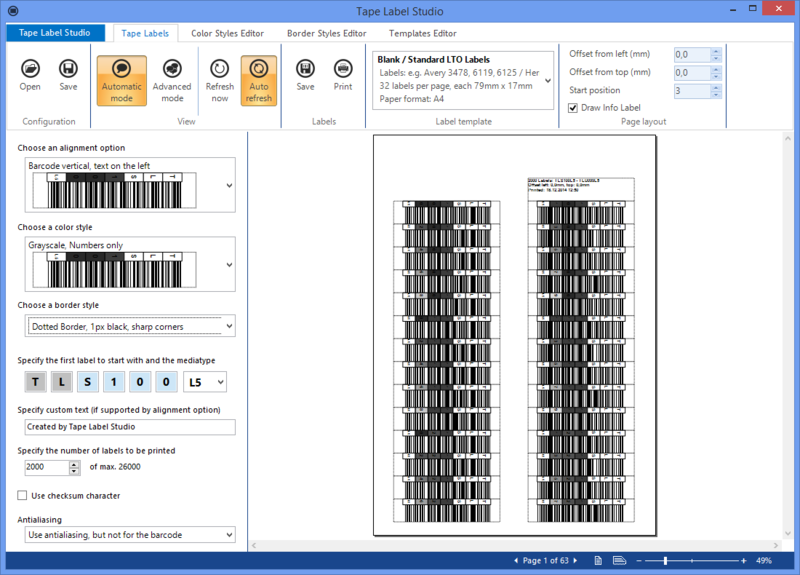 Prepare and print labels quickly with Automatic Mode. 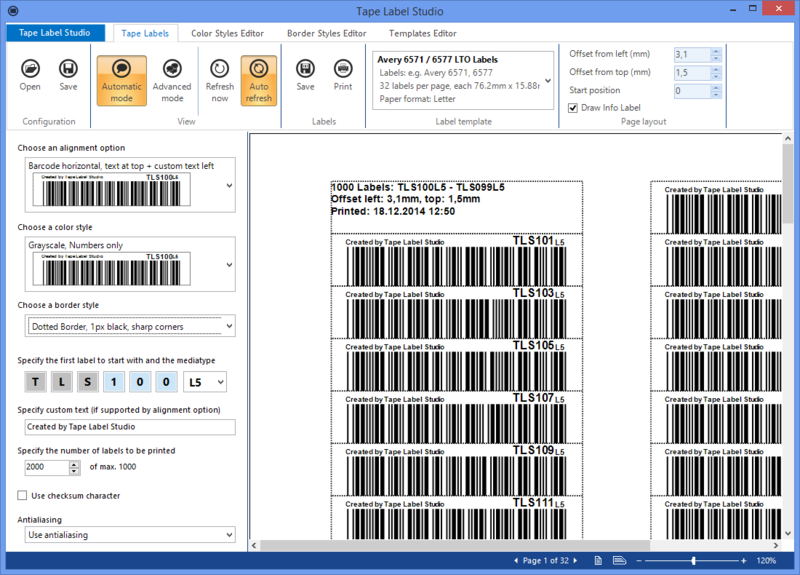 Automatic Mode is made for a quick and easy setup of tape labels. Pick a few options, like label alignment, color and border style, starting label, mediatype, number of labels and you’re setup. 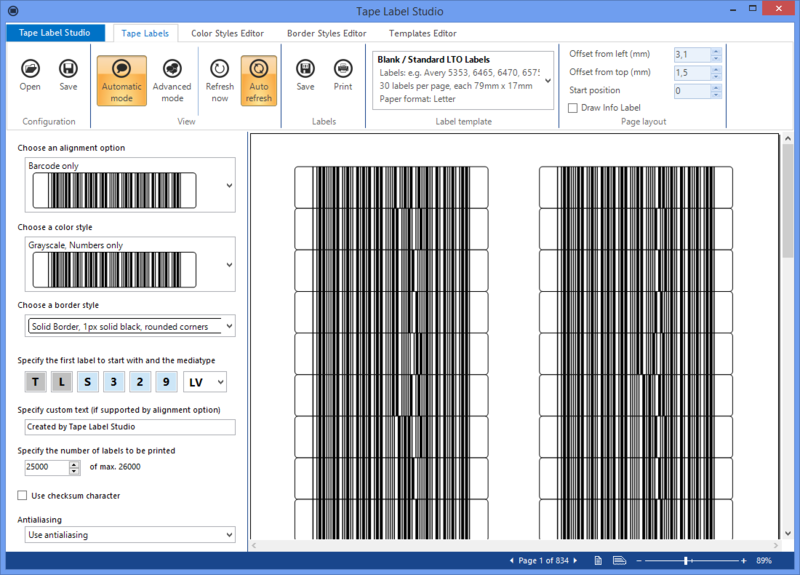 Tape Label Studio creates as many labels as you want – all looking perfectly designed. Automatic Mode is included in every edition of Tape Label Studio – even in the home edition. In case you want to customize labels, or you want more control try Advanced Mode.